What is the point of a roadster model? This is a question that many drivers who’ve never been behind the wheel of a roadster or similar convertible build might ask. For those who have gotten the splendid opportunity to take a roadster out for a spin, the answer is obvious. 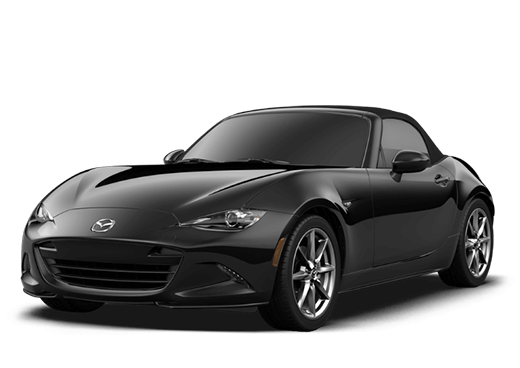 Roadsters, such as the 2019 Mazda MX-5 Miata, are popular and well-regarded models because they simply provide a joyful experience when on the road. If your primary concern is having fun, the 2019 Mazda MX-5 Miata will fulfill that need and then some. Therefore, in what ways does the 2019 Mazda MX-5 Miata accomplish this mean feat? 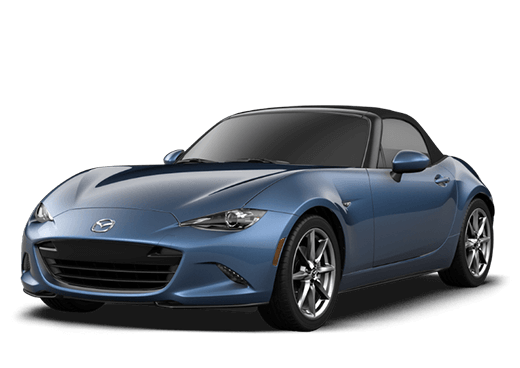 It is especially notable in that, at a starting MSRP of $25,730, the 2019 Mazda MX-5 Miata is one of the most affordable roadster models on the market. 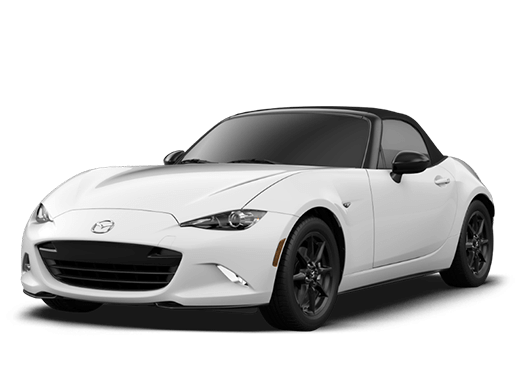 Take a trip with us, and we’ll explain all of the numerous advantages that come from the expert design and implementation present in the 2019 Mazda MX-5 Miata! 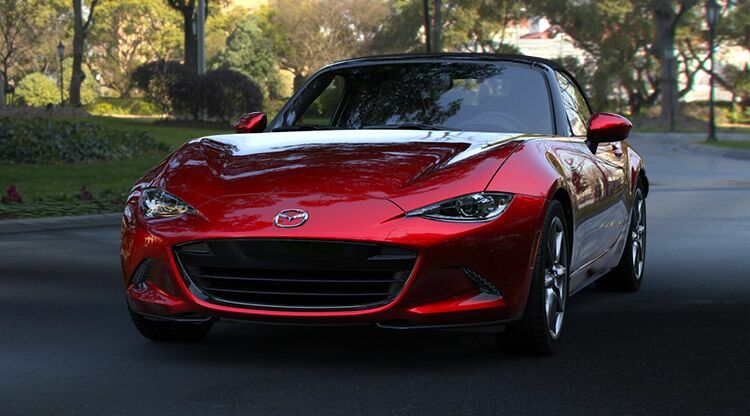 What would be the point of a roadster model if didn’t paint a striking picture? Along with performance, the big draw of a roadster is the lean look and sharp curves of its exterior shell. If the appearance of a vehicle isn’t up to your standards, it detracts from your enjoyment on the road. Luckily, the 2019 Mazda MX-5 Miata is as beautiful as you’d expect, providing the best outcome of the trusted Mazda KODO design philosophy. 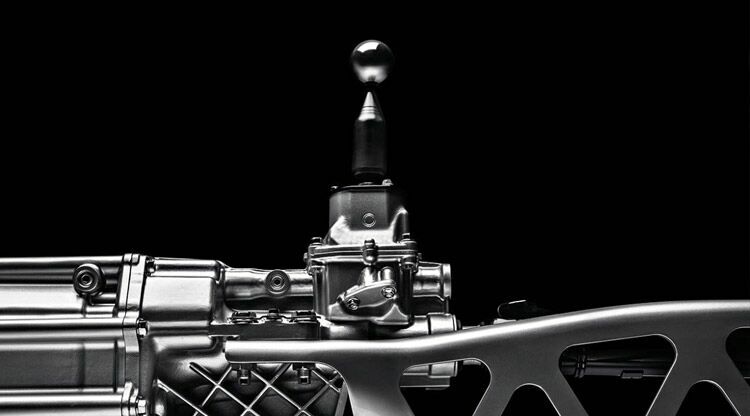 Many roadster models are built by luxury brands that often take the wrong approach to the build. They take the shell of a roadster and pack it full of unnecessary power along with too many add-ons. The end result often looks nice but is overly heavy, inefficient, and very expensive. 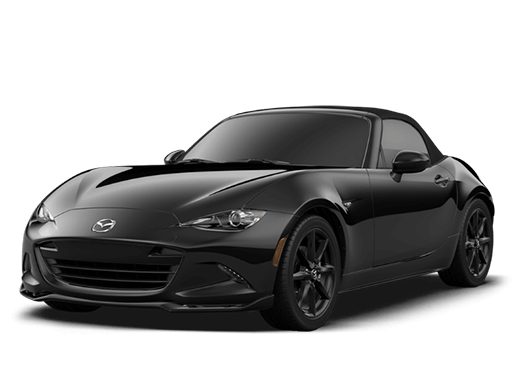 The 2019 Mazda MX-5 Miata succeeds by pairing a lightweight but spiffy engine with a slim and well-organized frame. This creates a responsive and thrilling driving experience for a fraction of the price! 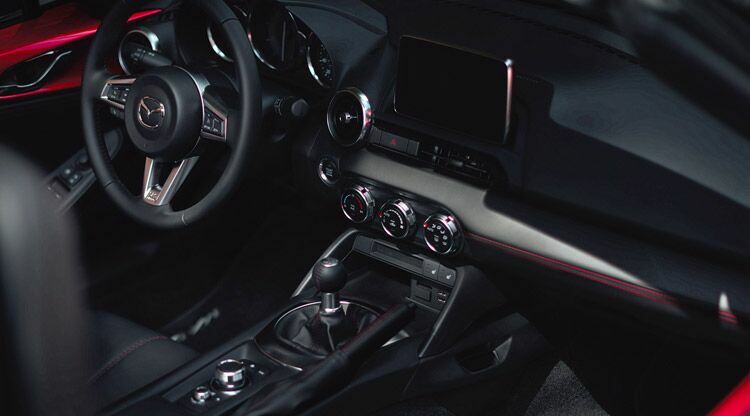 Moving to the interior, the 2019 Mazda MX-5 Miata presents a comfortable and welcoming cabin to contrast against its bold and confident exterior. Seats have leather-trimmed upholstery while the steering wheel, shift knob, and parking brake all come leather-wrapped. Technology includes MAZDA CONNECT™ infotainment, a Mazda Navigation System, and a Bose® premium sound system. Additional features include push-button ignition, automatic climate control, and many more! 1 Starting at $25,730 MSRP for 2019 Mazda MX-5 Miata. MSRP excludes taxes, title, license fees and includes $995 destination charge (Alaska $1,040). Actual dealer price will vary.